Routers, Switches, Networks, Internet, Broadband, Calls, Lines, Hosted services etc. ← I want to setup a wireless network part 2! I want to setup a wireless network part 1! One of the subjects asked about more often than others is wireless networks, how to set them up or some aspects of it. With soooo many devices connecting wirelessly this is not surprising. Devices such as tablets, phones, laptops, media systems, wireless storage even desktops these days, the list is ever increasing. There are lots of options available now to help you setup wireless networks that work well and its’ getting better all the time. Wireless technology in itself is not easy though as everything seems to effect it; the building you are in, the position of aerials, people walking in a room, the traffic, the atmosphere, interference from other wireless device, the list goes on. Fear not though, with a little thought and perhaps experimentation within your chosen site a reliable wireless network can be setup without spending outrageous amounts of money on it. Those clever people who produce wireless equipment are getting smarter all the time. This article is aimed at home and small to medium size businesses and I hope you will find it easy to understand, there are lots of pictures and diagrams to help clarify things so I will split it into several parts, 3 should do I hope. Large companies will have their own IT departments to sort it all out for them. Having said that I cannot think why the methods in this article cannot be scaled up to whatever size of network you want, the principles remain the same. 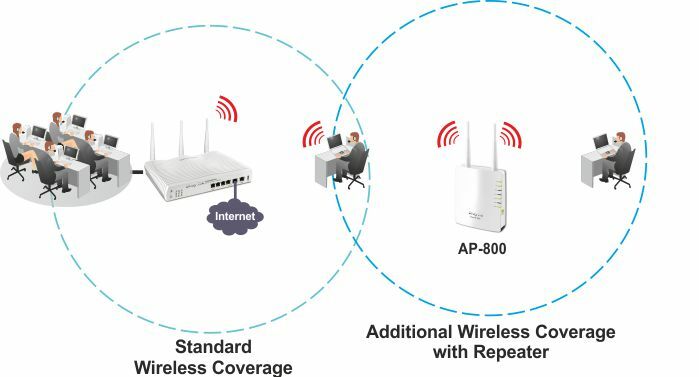 The current wireless standard “n”, also known as “IEEE 802.11n-2009”, is much better than the standards that went before it and most devices on this standard will work with other older wireless devices. I’m sure better standards will come along in the near future, in fact a new whizzy standard is in draft form right now. The range of a particular device is dependent on many factors as already mentioned but you might get 70 meters indoors and I have seen up to 250 meters mentioned for outdoors but I think that would be exceptional. There’s a Wiki article if you would like to swat up on it. Here are the ingredients for our wireless network, use them as needed, you probably won’t need all of this. Let’s start off with the equipment. Note that the Billion network adaptor version can be plugged into your mains electricity supply if your network has been attached to your mains electricity supply. That is, either a network cable is plugged into this wireless network adaptor or another network adaptor on the same mains circuit. and directional which focuses the signal so that a strong signal can beamed in a particular direction, this is particularly useful for bridging two locations together. A stronger aerial can either directly replace the aerial(s) you currently have or linked to your device by a length of cable. Some aerials can be mounted on walls. Most devices come supplied with 2db or 3db aerials but it is possible to replace them with up to 10db aerials which are quite a bit more powerful. It’s worth noting that on some devices that come with more than one aerial some of them might be used to transmit and receive and some might be used to receive only. You can check the manual or datasheet that comes with your device. Most devices such as laptops, tablets, mobile phones etc have built in wireless connectivity these days and if it’s a fairly recent device then it will probably be wireless N. If your device doesn’t have wireless connectivity or it is old then this may not be a problem as there are plug in devices you can use to get around this. Let’s say you have a desktop or laptop computer with no wireless connectivity or an old wireless standard that you want to override! No problem, you can either plug in a USB dongle or install a PCI wireless adaptor. Before or after you set up your wireless network you might want to perform a wireless survey. This is about the strength of signal you are going to or do get in the places you need wireless to work. Things like thick walls or steelwork in a buildings structure, the distance from an access point etc can all have an effect. There are 2 ways of approaching this; you can either obtain the equipment or hire someone who has it to perform a wireless survey before you start setting it up or you can setup the wireless network first with a little judgement and then adjust things as you go along. The former method might give you a better start but if your setup is simple you may not need to fuss too much. 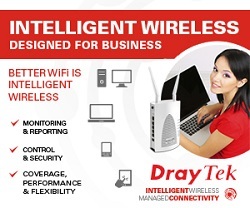 If you have a small office, say 1,000 foot square then a single wireless router will probably do what you need. 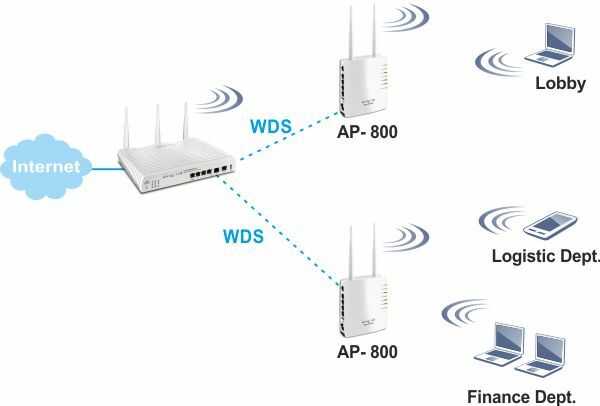 If you want to perform a wireless survey before you install the wireless network then you can obtain the software and devices needed for it but unless you are quite enthusiastic about it I recommend you get in a trusted expert in this field. I’m not going to go into this area too much now but there are quite good articles available, here is one that is quite good on the Computer World web site. If you just want to consider your wireless network, set it up and check it then there are some great aps out there for Apple and Android tablets and mobile phones. They may not be “professional” if anyone wants to get snobby about it but they will do the job. I have been using WiFi Analyzer on an Android phone (an HTC Desire HD) which seems to work pretty well! What are the areas you want the wireless network to cover. A floor plan would be helpful. Identify the objects that might affect the wireless network such as walls, halls, elevators and floors. You might needs some extra devices or careful siting of them to get around these things. Identify where the wireless network will be used. Identify where it won’t be used as you don’t need to cover this area. Depending on where you want to site access points, aerials consider where any network or mains cables need to run and are mains outlets available where you need them? Access points are best mounted high, near or on the ceiling is good. Watch out for metal or concrete walls or structures that can interfere with/block wireless signals. How many access points do you need, if they are wireless N, you are indoors and there is clear line of site then 25 metres radius per point might be sufficient although a smaller radius is probably better! Once you have everything up and running make a rough map of the wireless areas and the strength of signal there. Monitor and adjust as necessary by re-siting access points, using different aerials, adjusting aerial positions or increasing the number of access points. The phone ap is really good for this. It’s like baking a cake, adjust the ingredients until the cake tastes to your liking! I guess that’s enough for one chunk, now we know what bits of equipment we can use. In the next article I will talk a bit more about the configuration of it and how the wireless network may behave. How am I doing, do you have any suggestions on how I could improve this article? Stuart, these are such useful and informative articles. Any chance of the next one on setting up a network? Thanks for your comment Gary. I have part 2 which is about configuration sort of planned and started but it is taking longer than I expected due to other stuff that’s going on. I will get there though. Is Your’ Internet Connection or Wireless Letting You Down? I want to setup a wireless network part 2! What can I do with my router – part 2? What can I do with my router part 1?